Apple has seeded a new build of the OS X Mavericks Golden Master to developers, a little more than two weeks after the first GM seed. 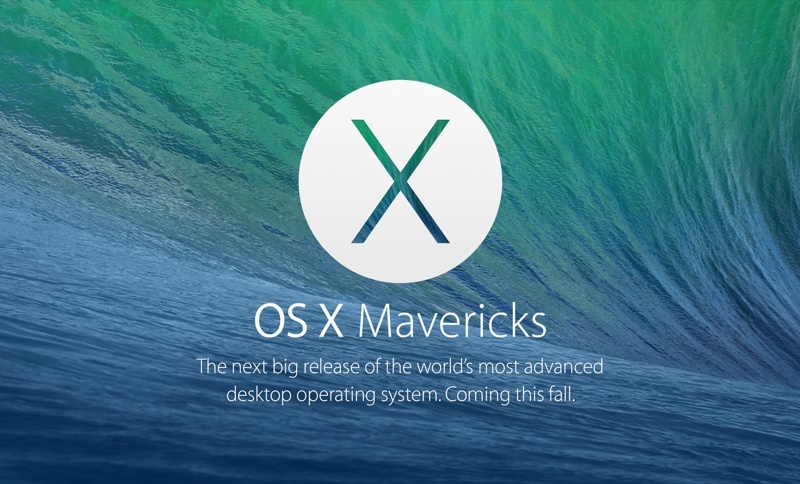 According to 9to5Mac, the build is only available for users performing a fresh install of Mavericks, with some users having luck re-installing the new GM over the prior version. The prior GM had a build number of 13A598, while the new release is build 13A603. Apple is reportedly targeting a late October launch for Mavericks and it's possible the company will give a final release date at Tuesday's media event. I do know for sure. You can't upgrade the old GM build to the new version. It forces you to do a clean install. Funny, as some users have done just that. So again, stop spreading misinformation. One thing is for sure anyone who has invested a whole lot of time installing and setting up their new Mavericks install has wasted it. That is, unless you're happy being stuck on 10.9.0 until 10.10 comes out. Stop spreading misinformation. You don't know for sure. not true. You can update with no issues. I updated both my laptops today.. I have posted this 10 hours ago. Why do Macrumors need another thread for that? Typically I would say yes, it will expire and require a reinstall only because you wont have the "official gm" that will ship to the public. In essence, the original gm becomes a beta that expires. OS X Developer Previews do not expire. GM builds are built to be the final version. Updates are only issued if there are major problems. Not only do Developer Preview's (betas) not expire, but a build built to be the final version definitely does not expire. Are you in need of affection or public recognition? Interesting. I'll just stick with 598 and wait for 10.9.1. I've had no problems with mavericks so far. So unless you're happy to be stuck OS X 10.9.0 for the duration, you're wiping your machine and installing again. Wipe my machine? Clean Install? To everyone saying the original GM won't get 10.9.1, you're wrong. Dead wrong. Just like how you can upgrade from 10.8.0 to 10.8.5 with a combo update, the 10.9.1 update will be a "combo" update for both GMs. Apple isn't going to leave developers with a dead end GM. Once they call something GM, it's a GM. Post a link? As far as I know it's 100% impossible. And I should know, I'm a MSP and qualified engineer. I'd like to see how someone claims to have done this.